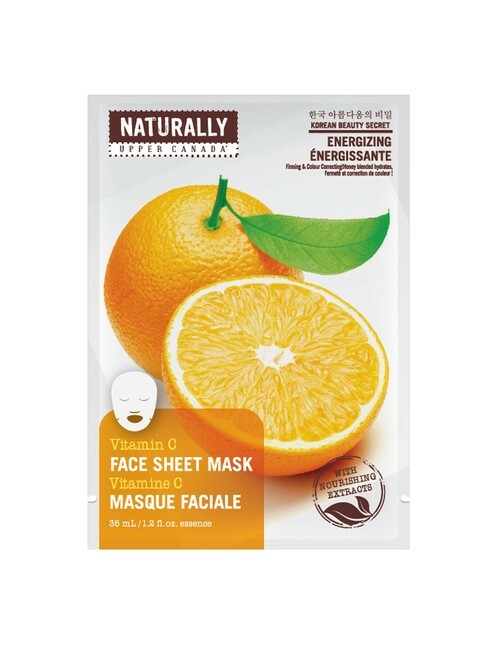 Naturally Face Sheet Mask. Individually wrapped. The ultimate nourishment for your face! Each mask uses a unique fabric blend that tightly hugs the contours of the face allowing for the most effective penetration of our wholesome and natural essential ingredients. 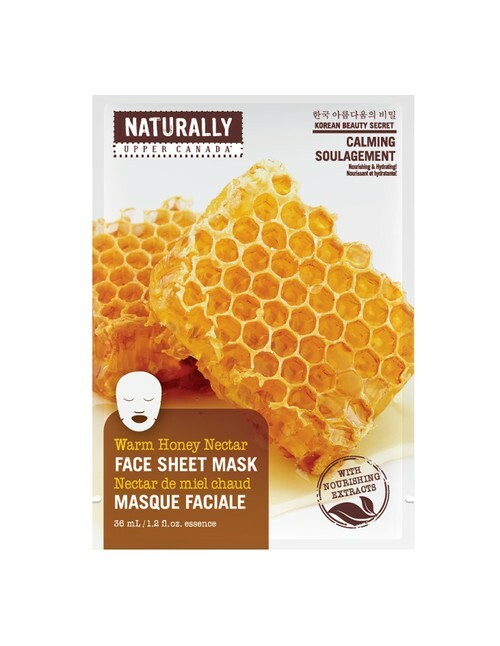 1 individually wrapped mask. 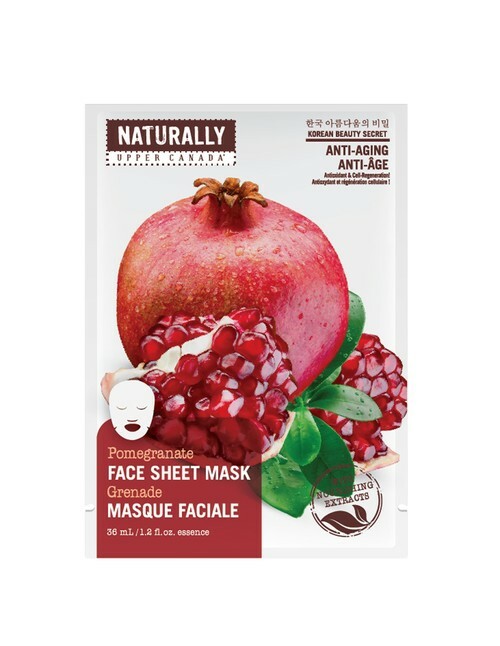 Comes in: Vitamin C (Energizing); Pomegranate (Anti-Aging); Warm Honey Nectar (Calming).